In Part One I talked about a general overview of what gaming provides a writer, while in Part Two I went into a bit more detail about how roleplaying games can help a writer develop his plots, characters, and worlds. Here in Part Three, I’ll talk a bit about how wargaming can help you craft and design more realistic scenes for your books. Obviously this advice holds a bit more true to those of you writing military or combat themes in science fiction or fantasy, although if you have even a small fight scene in what you write, it may behoove you to pay attention. So, what does wargaming offer? Well, it gives you some basic understanding of tactics and planning. This, in and of itself, can show in your writing as your characters refer to flanking an enemy or massing fires. Knowing even just the basics of how a fight would play out can really help when you go to write up that fight scene. It can also help you to visualize where characters are and what kinds of odds they face. Knowing that Throk the barbarian has to face a hundred orcs is one thing, putting a hundred markers out to show just how insane that would look is something else entirely. Where this plays out is that it allows you to keep your fight scenes somewhat grounded. It makes no sense for one person to hold out against hundreds without some huge advantages… unless you’re writing manga or some kung-fu movie type scenes. Also, wargaming gives you a sense of the scale of a fight. 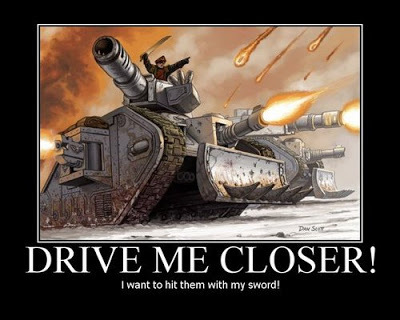 If your characters are taking part in a huge battlefront where tens of thousands of warriors are clashing, seeing that scale can help you to write scenes that feel more epic and with high stakes to increase the tension. 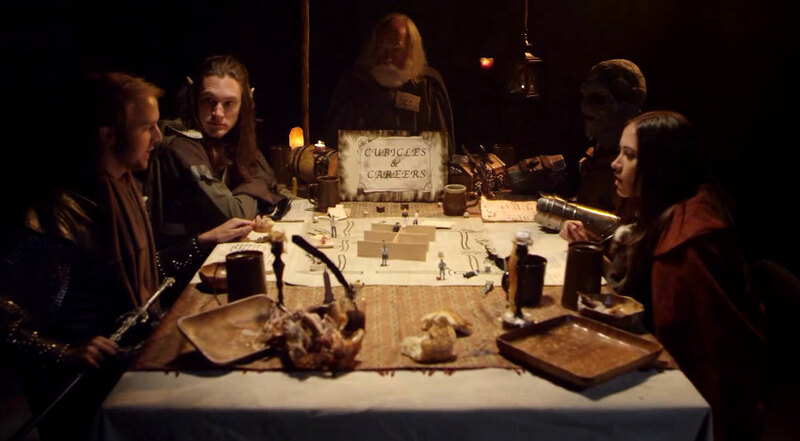 Whereas if you have a small skirmish deep underground or with a handful of people in a forest, that close, intimate description can set the tone and the immediate consequences for characters can set the tone. Where do you get started then? Well, there are a variety of games and a variety of methods, but the easiest is to probably go to your local gaming store on a Friday night and just ask around. Most gamers are pretty welcoming and would love to talk about what they play. If you tell them you’re an author and you’re researching for a novel, you’ll probably have several eager gamers willing to talk about the basics. In general, games like Warmachine and Hordes are small skirmish games with a handful of fighters per side (squad and platoon size), games like Warhammer 40k and Warhammer Fantasy are larger, small armies (company size or larger), while games like Flames of War are for larger scale battles (company and battalion). There are a variety of ship-combat games, ranging from fighter level to capital ships (X Wing, Star Wars Armada, Battlefleet Gothic, and more). Game rules range from very complex to absurdly simple and most give you at least a decent approximation of how a fight might play out. One thing to remember as you go about converting what you learn with what you’re writing: don’t get too caught up in the technical details. Writing is about characters, so spending a long time discussing the technology, tactics, and advantages of one side or the other is a good way to put your reader to sleep. Slip that kind of thing in here or there, but focus on the characters, the stakes, and anything else to drive up tension. A fight scene (whether between hundreds of capital ships in a distant galaxy or just two characters locked in a grapple with knives), is there to show conflict, increase tension, and to make the reader excited. Dry, technical dialogue is a good way to ruin an otherwise perfectly good scene. Don’t take pages to get to the point, do it quickly, establish the stakes, show the danger, and complete the scene in a manner to accomplish your plot goals. Another point: the main character doesn’t always need to win. In fact, oftentimes it is far better for the story if they don’t. They might be defeated ingloriously and either left for dead or taken prisoner. They might be forced to withdraw in the face of overwhelming odds. There are lots of options for you, as a writer, to use conflict to batter your character, to force them to grow and into introduce themes and plots that you couldn’t explore otherwise. As an author, particularly a Science Fiction and Fantasy Author, there’s not a lot of ways to draw directly from real-world experience to determine what is “real” in my writing. There are a number of methods to deal with that, to fill out a world, to get a feel for how things work. World-building, of course, is a massive part and I’ve written a series of blog posts on that which you can read elsewhere (History/Society, Magic and Science, Geography and Climate). Another great method is to base things off of real-world events and experience (since history oft repeats itself, such restructured events and outcomes will feel ‘real’). What I’m going to talk about today, however, is gaming. Now, even as I say that I can mentally picture a number of people cringing. The potential critics thoughts range from someone who pictures a group of LARPers out beating each other with foam weapons to the guy with the full scale replica of the battle of Gettysburg to the computer nerd who has set up a simulation of the Romulans fighting the Borg (Romulans lose, sorry). The truth is, though, that gaming at a variety of different levels is what you do anyway as you work through your plot and story. You think about what you want to happen and how you want it to happen and then what needs to happen for that to work out in the end. What I propose is to formalize that a bit to give you a more realistic idea of outcomes. There’s a variety of different types of gaming that you can apply, all aimed at different goals. These goals can range from helping you to more fully develop your world to figuring out what it would take to win a desperate battle to finding out how difficult a puzzle or scenario would be for your characters to figure out. That said, there’s a variety of games for you to apply and happily, most of them are fun too (see Science Fiction and Fantasy Gaming Overview for a breakdown of games). Roleplaying games provide a lot of positives for a writer. First off, being the DM or GM of a game gives you a lot of experience in coming up with ideas and storylines on the fly. Second, it forces you to really think about the worlds your players are exploring. Tabletop wargaming, whether on the skirmish level or all the way out to massive armies, can help you to visualize where characters are and just how stacked the odds are against them. 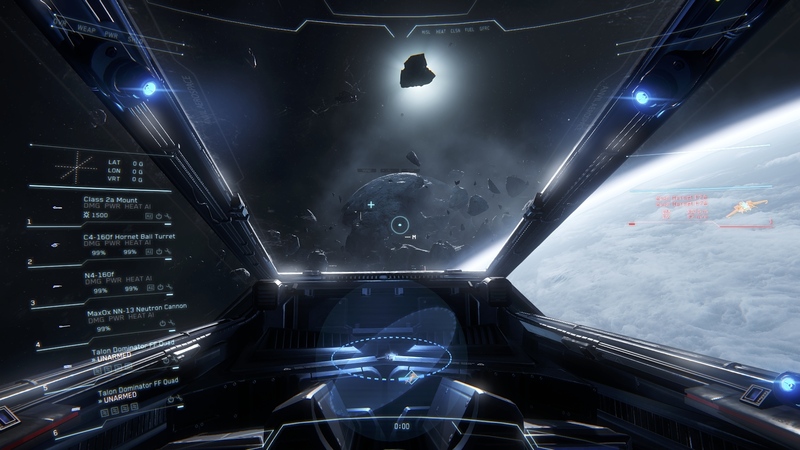 Star Citizen isn’t even past the alpha stage yet, but it already looks incredible. That all changed with Kickstarter, which has changed the paradigm for a lot of things. Chris Roberts, creator of the Wing Commander and Freelancer games, posted that he wanted to get a few million dollars and produce a modern space fighter sim game. The overwhelming response brought in over 17 million dollars. At this point, they are nearing seventy million dollars of funding from around half a million people, many of whom have access to the game as it currently exists in development. Other games, like Elite Dangerous, have been similarly funded and are going live. What this means, in a lot of ways, is that the big developers were wrong… or at least, not entirely right. Star Citizen is an incredibly ambitious game design, which will feature First Person Shooting, Space Exploration, Mining, Combat, and a fully interactive in-game economy. All of this will be controlled by players, not their characters, but through actual player skill. The physics are, while not one hundred percent accurate, include inertia, acceleration and G-forces. A player in this game could fly up next to another ship, jump out an airlock, board the other vessel, and fight in first person mode, while a space combat occurs outside. The game isn’t even out yet and many of its detractors say that it never will be… yet I think it’s a sign that we want more, demand more, than the slow, incremental improvement (such as World of Warcraft getting new character make-overs… yay) of the same games and types of games that have been popular. I think it’s also a sign that we humans still dream of travel into space and we want to be as close to the action as possible. If we can’t go out, we want as accurate a simulation of that as we can get. The great thing about games like Star Citizen and Elite Dangerous, is that they’ll inspire a next generation, not just with the excitement of ‘being there’ and doing things themselves, but with the idea that getting into space is something that we should put a bit more effort into… if only so that their children can experience it first-hand rather than through a computer game.